Commercial project which is actually needed in the current fundraising space. This could help both projects and investors both ways. It is however competitive in a small ocean (relatively) and the team needs to execute well. "Loligo is a decentralized launching platform for ICOs that is fair, peer-to-peer and blockchain-based. Blockchain implements smart contracts permitting a phased release of funds collected for the ICO while, ​at the same time, a collective right of withdrawal." This is a very unique concept and addresses the current market conundrum of ICOs. Team is solid technical and good github activity. Only concern is this is yet another crowdfunding ICO platform doing ICO! This market is saturated so I hardly see any ROI for investor! Their MVP is C++ programming code which doesn't meant to be like that for Investors as they want to see how platform will actually work! This is a solid looking project and they have produced a fairly decent whitepaper for an idea in a market which has similar products out there, but is of course also very large. Whilst there is some experience in the team, I feel they could do with more numbers. Loligo has a strong team and not bad advisors. But I know about 10 ICO platforms which have similar technology. The main problem which they can't decide it's controlling of road map of ICO project. I didn't see this decision here. Really Happy with your feedback which allow us to stand out from our competitors ! Thank you for team rating we are glad to hear that ! The market is saturated but none of current platforms is solving the safety issue, scams are always running their ICO without any warranty for investors, and escape with funds. LOLIGO is an Ethereum fork, the code is running through mining nodes just like Ethereum and Bitcoin. it’s the only way to create a safety standard just like Ethereum is the Dapp standard. All other platforms including the ten you are pointing are discussed in our market study, we are open to add any platform that we might forget about. You may find many solidity smart contract projects asking for millions to build their solution. I’m sure you’re not encouraging your followers to invest in. We invite you to read chapter 2/3 from ou WP will find all answers for your questions. And always available to answer with pleasure ! The idea is good. Platform will be good for both investors and ICOs. There is already kickico and other successful projects already in market but there is space for more. Team looks capable enough. I would love to test MVP. Best of luck team. Not the first ones to offer a ICO crowdfunding platform. Will have to wait and see how successfully are they able to execute it and differentiate themselves from the competitors. Happy to see your interest in the project ! Sure, there are many competitors, which proves the seriousness of the problem and the emergency to solve the ICO safety issues. As you know, despite the existence of many projects, none of them solves the real issue. 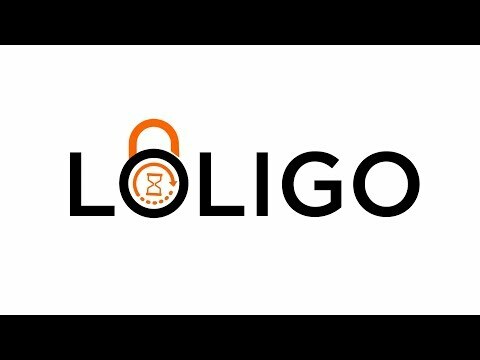 We studied all the current market projects, and explained why LOLIGO is the ultimate solution of the DAICO-like situation. We invite you to look quickally at chapter 2 of the WP. we still available to answer any question with pleasure ! [UPDATE] Their team has 11 members and 6 advisors, and it looks well balanced, which is ok for this stage of the ICO. However, it is highly recommended that you enhance it in the near future, as there are many aspects that will need to be addressed. :) Good luck! Aside from this, they do have an MVP. And their vision is good. Loligo has come up with an interesting concept. This comes at a time where security for ICO projects is urgently needed. It would benefit investors and the project coordinators. Although the ICO space is growing exponentially, there are several competitors in the market. Waiting eagerly for the MVP. Good luck to the team. Thank you for your review, your interest in the project makes us happy ! Indeed, ICO standardization by providing a fair technical tool accepted by community, investors and entrepreneurs is becoming an urgent need. Of course there are many technical approaches, we have identified them and discuss them in details in the WP. Comparing to the current available solutions LOLIGO concept is a piece of technology. We invite you to look in details to our WP, we will be happy to learn more from you about our technical, financial, legal and business choices. Please Note that MVP link is available, and MVPNet is under development. I like the concept and vision, if they are able to pull this off then it would be exactly what the industry needs. I do know of other similar projects but the industry is big enough for a few good platforms to exist amicably. The whitepaper is well written and informative. The team does come across as experience, I think they could do with a few extra resources but I could be wrong as well. All in all this looks like a promising project, I would really like to see them deliver. Very small team and yet they managed to somehow put together an MVP. You should recruit more people on board as an ICO is a serious business and you need people in charge of many aspects, not just the product itself. [LATER EDIT] Thank you for your fast clarification in the reply. It shows that you indeed do care about your project. Good luck! Good looking project everything is balanced by looking at team, Wp, MVP. But there are many other projects/icos offering similar services. How you differ Loligo from them will definitely matter alot. - Projet ambitieux et utile à long terme. - Possibilité d'atteindre les nombreux investisseurs qui justement ont peur des ICO. L'ICO étant française, cela pourrait également permettre de développer la communauté francophone qui est actuellement absente dans le domaines des ICO. - Le code & process de Loligo est exécuté directement par la Blockchain et les mineurs, ce qui assure la meilleure distribution décentralisée des fonds. - BlocZero est la startup qui lance le projet Loligo. La société est identifié sur societe.com, cela peut paraître anodin mais certaines ICO sont encore lancées avec aucune société derrière. - MVP disponible bien que ça ne soit que du code C++ sur github. - lls ont signé un accord avec le cabinet icoadvisors.ch représenté par leur Advisor Mauro Andriotto. - Pas de minimum d'investissement pendant la crowdsale. - Remboursement si le softcap n'est pas atteint. - Nécessite une excellente stratégie de marketing pour une grande adoption. - Bien qu'un MVP soit disponible en C++, les investisseurs veulent voir comment la plateforme fonctionnera et avec du code ce n'est pas le cas. Great idea which offers protection of investment and a launching platform for trusted ico's. Looking at whitepaper, the team has an understanding of existing models and look to adopt and upgrade over competitors. Team looks good, experienced. Kyc and MVP there, brilliant. Product as 4 based on only MVP. Positive the fact that there is activity on Github. As other experts say, there are already other platform but the market is not that saturated. Idea of providing a safe ecosystem for ICO's is important but not original. Ther are plenty projects focused on this idea. If this project was published last year it would be very effective. But now IEO's are filling this "safe investement" area and investors who has high risk appetite doesn't need this systems.